The Return of Miss Stella C. by Harry Price (Reproduced from the British Journal of Psychical Research, Vol.1, No.1, May-June 1926). We have pleasure in presenting to our readers the first published portrait of Miss Stella C., the psychic whose phenomena have created so much interest at home and abroad. It was in March, 1923, that Stella submitted her powers for investigation, thirteen sittings being held during the year. At these séances - the records of which have been published (1) - some extremely interesting phenomena were witnessed. Telekinetic movements of objects; flashes, similar to electric discharges; cool breezes; the lowering of the temperature in the séance room, etc., etc., were among the manifestations recorded. Apart from her psychic powers, Stella is a thoroughly normal girl in the early twenties. She is a typical, healthy, well-educated young lady, fond of sports and all outdoor pursuits. Stella is of medium height, slim, and the absolute antithesis of the popular conception of a "medium." The development of Stella's psychic faculty was rapid. Previous to our early experiments with her, she knew little or nothing of psychic phenomena or that a number of persons were engaged in scientific research work in order to ascertain the laws underlying abnormal manifestation. Purely by accident she attended a spiritualistic meeting when she was a little girl, but the proceedings merely amused her, and she took no further interest in psychic matters. This is all the more curious because from her early childhood she has been subject to spontaneous phenomena which, however, have been of rare occurrence. Spontaneous telekinetic movements of small objects have occurred in her vicinity for some years past. Other phenomena noticed were strong breezes, raps, and very rarely a vivid light or flash. The "breezes" usually occurred when flowers were in her immediate neighbourhood. This particular form of manifestation has been witnessed generally in the evenings when the atmosphere has been calm and unruffled. Sometimes she would be reading quietly in a closed room when, without any ascertainable cause, a strong breeze would sweep across the apartment. Stella thought this curious, but it seems to have aroused no particular concern on her part. Of spontaneous telekinetic phenomena the sudden movement of small objects is the most curious. Sometimes, when Stella is about to pick up a box of matches it will jerk itself away from her as if it had been flicked by the finger. It should be added, parenthetically, that since she placed herself under scientific investigation the spontaneous phenomena have almost ceased. Raps have occurred an her bedstead, and in various parts of the room in which she was present. The rarest of all spontaneous phenomena are the "lights" or blue flashes which very occasionally manifest in her presence. The "lights" appear to be of an electrical nature, and are almost identical to the electrical discharge across the paints of a Ruhmkorff coil. All the phenomena mentioned above have been developed and demonstrated during the séances held with this psychic, and in addition materialisations - in the form of "pseudopods" and teleplasmic rods or " fingers" have been witnessed. The first series of sittings with Miss Stella C. lasted from March 22nd to October 14th, 1923 - thirteen in all. They were held under test conditions and some brilliant phenomena were recorded. During the period of the experiments Stella was taking a holiday from her usual occupation - a trained nurse and dispenser - and was able to devote the time necessary for the séances. In the autumn of 1923, however, she took up another appointment and the investigation ceased. It was thought that she would one day again submit herself for investigation, and her friends were not disappointed. With the founding of the National Laboratory of Psychical Research the opportunity arose of once more approaching her with a view to resuming experiments. Stella kindly acquiesced, and the new series of séances commenced in February of this year. The reports of the latest series of sittings with Miss Stella C. will be presented to the readers of this Journal in due course, but it may be stated en passant that brilliant phenomena - in some respects better than those experienced in 1923 - have been witnessed. With every instrument at hand that science can devise for the recording of phenomena, it is hoped that The Council of the National Laboratory will be able to accumulate data which will enable them to discover at least some of the laws responsible for the psychic manifestations which occur in Stella's presence. Many of the members of the National Laboratory have availed themselves of the opportunity of attending the experimental séances with Stella which are held weekly. (1) Stella C. An Account of Some Original Experiments in Psychical Research By Harry Price, London, Hurst and Blackett, 1925, 3s. 6d. net. 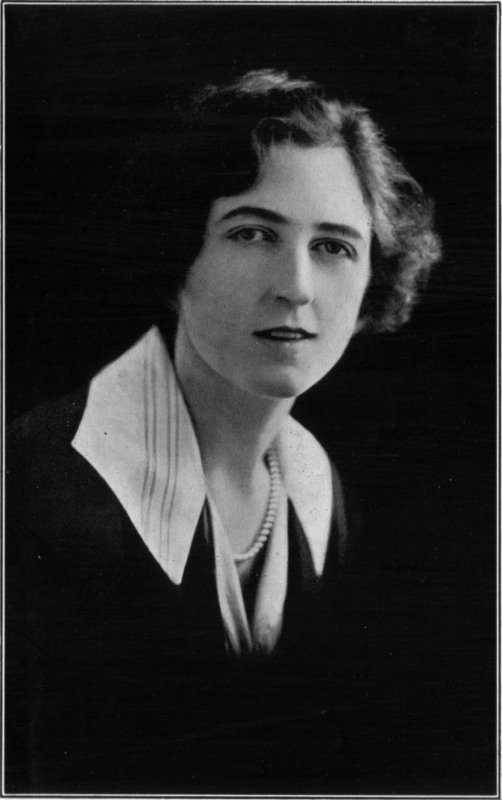 Stella C. See Journal of the American S.P.R., May, 1924.